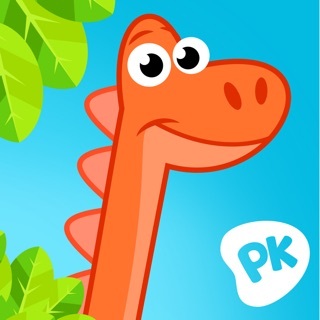 PlayKids is an internationally-acclaimed platform with cartoons, books, and activities for kids aged 2 to 8. Present in over 180 countries, PlayKids offers education and entertainment while boosting the development of little ones around the world. With over 5 million active users per month, our platform has content in 7 languages and encourages kids to learn by playing. Ready to get started? - Over 4,000 cartoons and books curated by experts. - The peace of mind that only a 100% safe and ad-free environment can provide. - Material designed for the different stages of child development. - Content to foster intellectual, physical, and social-emotional development. - Activities to help children learn new languages. - International acknowledgement: the products we develop for children have been awarded seals of excellence from NAPPA (National Parenting Product Awards), Parents' Choice, and the Michael Cohen Group. - Watch videos even while offline. - The Sleep Train has lullabies. - Better parental control: Access to settings is restricted to parents only, and you can also choose which cartoons your child can watch. - Parents can also monitor their children's development. - One subscription lets you watch on any device. - SuperHands - Let your little ones' creativity come to life with a show that not only teaches them how to build and assemble things, but also helps improve motor coordination. - I Love to Learn - Understanding the world around us, learning about our daily lives, and developing social skills become lots of fun with Junior and his friends. - ABCs - Learn the letters of the alphabet as well as their shapes and sounds through fun songs with our friends! - Lupi Club - What do you think is on Lupi's mind right now? Lupi Club's great visual appeal for early childhood viewers and plenty of interaction, repetition, and music make it just the right amount of learning and fun. 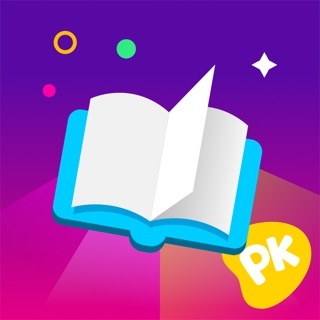 When you subscribe to PlayKids, you'll receive complete access to the app's videos, books, and activities to enjoy high-quality content curated by experts to teach everything at the right time and make it all fun, too. You can use your account on every device you own, and you can also download the videos to watch them even when you're offline. With PlayKids, your children will be able to access the best content for them whenever they want! - Subscriptions are renewed once a month. - Your subscription is valid on any device registered to your PlayKids account. - Payment is charged from your iTunes account when your purchase is confirmed. - Your subscription is renewed automatically unless you disable automatic renewal at least 24 hours before the end of the current billing period. - Next month's payment will be charged 24 hours before the end of the current billing period. - To manage your subscription or disable automatic renewal, open your user settings page after your purchase. - The cost of the current month's subscription cannot be refunded, and service cannot be stopped in the middle of a billing period. - Any free trial, as applicable, will be interrupted when a paid subscription is purchased. Please note: videos and characters may vary by country. If you have any questions, please visit http://support.playkidsapp.com/. It's now easier to manage the storage occupied by the app on your device: you will be notified when your device is running out of storage, in addition to being able to track or cancel downloads in the Settings! How about finding out and watching all episodes that have just been added in the app? Just slide your finger on the left corner to the Home's right side and the highlights screen will appear! It is a quickly and easily way to find out all updates in the app. In this version we made some improvements in the Book Player to make it easier for smaller children to turn pages with just one touch. If you have any further questions, please contact us at https://support.playkids.com and we will be glad to assist you. It is too boring. Please change it. I would love that. Thank you for listening and if you want to buy this game, be aware that lots of things are locked unless you pay like five dollars a week. My family are paying for too many things to pay for something that lets you play games and watch videos because that is literally all you can do. LOVE, LOVE, LOVE this App!! We have 13 grandchildren! Of course it’s the ages 2yr, 3yr, 4yr, 6yrs (3) of them up to 8yrs. old that have something to enjoy doing on this app! Singing, learning, so many different things. Colors, numbers, shapes, friendship, sharing, Super Hands is a big hit with everyone no matter what age!!! The price is really GREAT! I’ve waisted more money on junk food & sweet tea in a couple of days! How could you not spend less than $8.00 on your child or grandchild’s growing brain?? Just check everything once in a while to update things or delete some that’s driving you nuts! They do have their favs!!! My child is 3 years old and has a plethora of games and videos to choose from. She still picks this app to play over everything else. It has books, games, videos and new content is always being added. All kid friendly and educational. The Superhands, Little baby bum, Junior on the job, and Storybot videos are probably her favorite. My friends son is 11 and he'll even play and watch videos with my daughter. It is hands down the best childrens app I've came across!